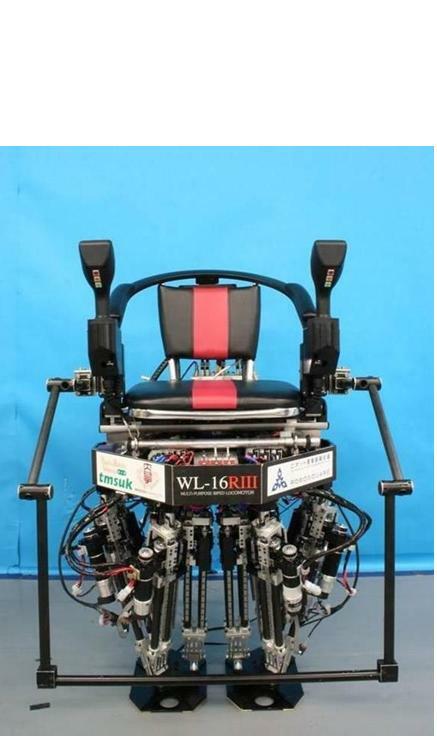 As legs of WL-16R, we have adopted a pair of 6-DOF parallel mechanisms. 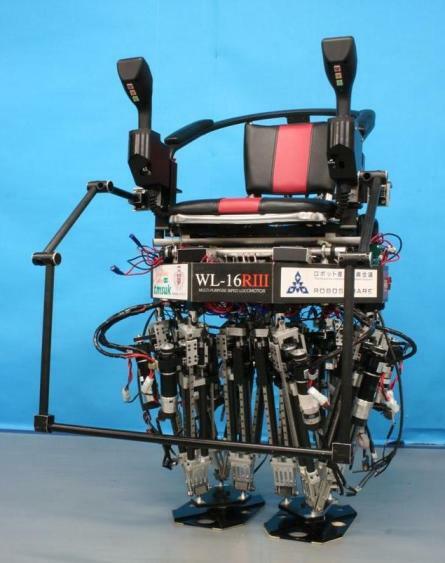 And WL-16R consists of two legs and a waist, and can walk independently. As for details, please refer to WL-16. The specification of WL-16RIII is following. 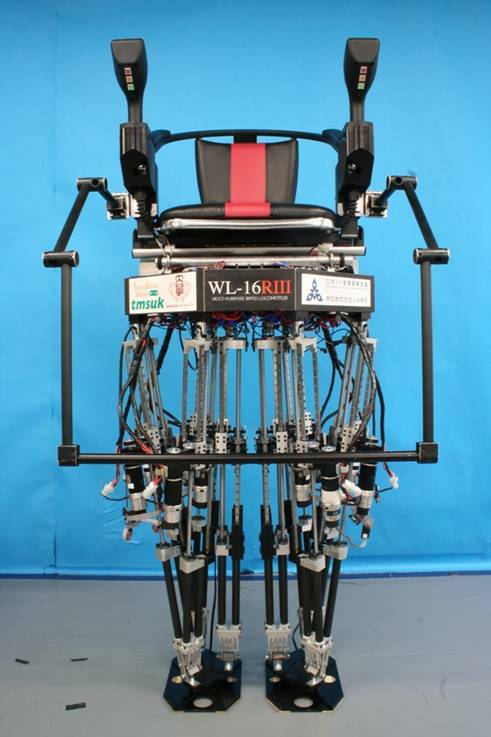 WL-16RII was difficult to walk up and down stairs with the height of 200 mm because the stroke of linear actuators was not long enough. 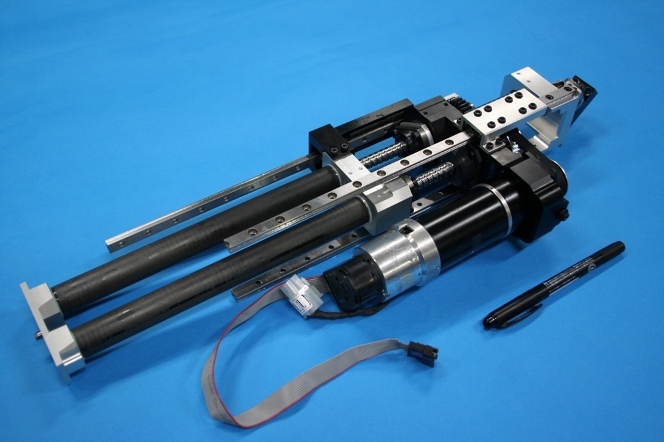 Our purpose in this research is development of new actuator with longer stroke. New linear actuator has the stracture that expands in two stages,and has longer stroke than single stage linear actuator of WL-16RII. Moreover, it came to be able to walk faster because critical speed had increased. 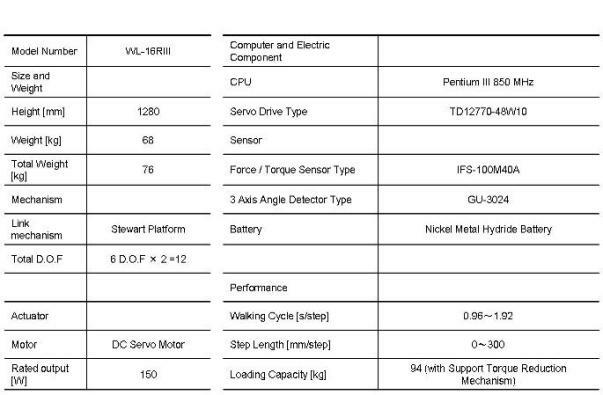 Overview of WL-16RIII with double stage linear actuators shows as follows. 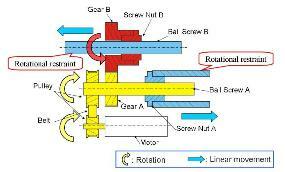 Through these experiments, the effectiveness of double linear actuator was confirmed. Walking pattern of WL-6RII was generated by using model that assumed the passenger as one mass. But human is not complete mass, it influenced the stability of walking. In this reseach, it aimed to walk with stability by using the walking pattern generation method that considered passenger's movement. 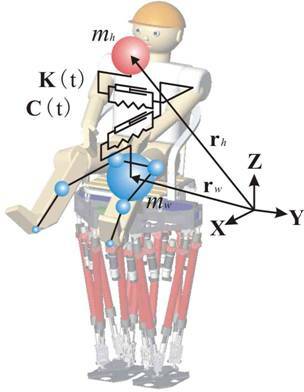 The passenger ascribes lower body models that were fixed to the waist of the robot and upper body model that was composed of spring, mass, and damper. 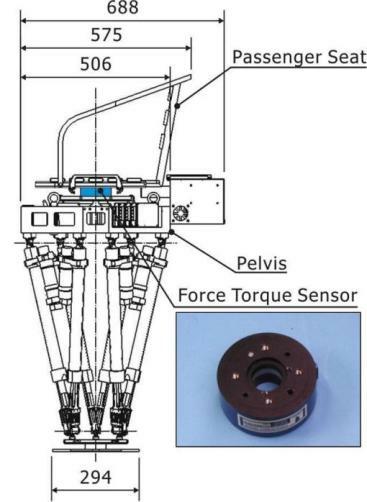 Power and the torque are measured by shaking the waist of the robot. 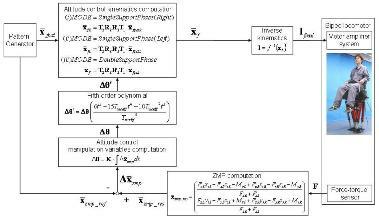 Then elastic coefficient and viscous modulus are calculated used values of force and torque. And walking pattern is generated by using these parameter. The walking experiment was conducted when passenger's passive mechanics model by the technique for proposing it was reflected and when it did not reflect it. 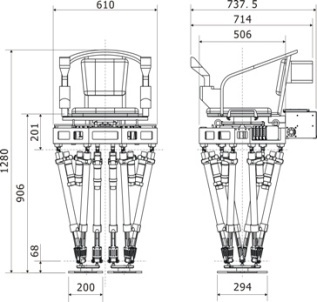 The weight of the passenger is 53 kg and the height are 1.68 m, and step length is 250 mm/step and walking cycle is 0.96 s/step. ZMP trajectories along y-axis was shown in Fig.3, and the effectiveness of waling pattern using dynamic model of human was confirmed. Previous landing pattern modification method is based on nonlinear virtual compliance control. The foot follows uneven terrain in the last half of a swing phase, and the roll and pitch foot motion returns to the reference walking pattern in the first half of a swing phase. The reference walking pattern is set that the foot is parallel to the waist. 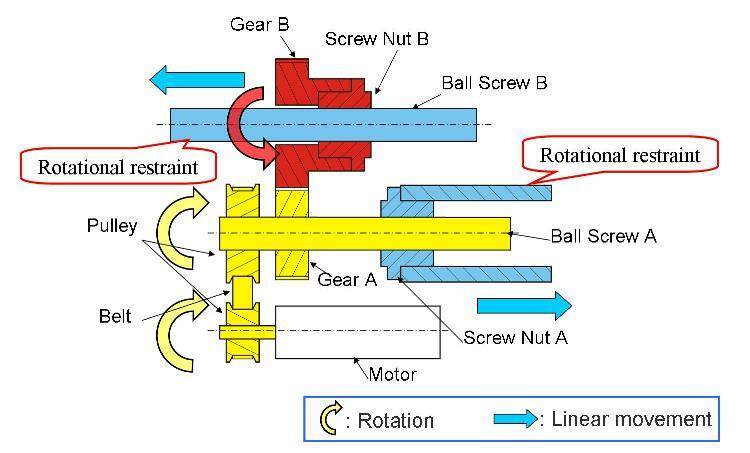 If the waist is not parallel to the ground due to the structural deflection, the response errors of motors and so on, the foot cannot horizontally land a flat terrain (see Fig.1). Therefore, the error of waist orientation is accumulated during walking. To solve this problem, the simplest way is to feedback the information of a gyroscope. However, it is preferable to compensate waist orientation errors with only force sensors. Because the previous landing pattern modification method is employed without any other sensors except force sensors. 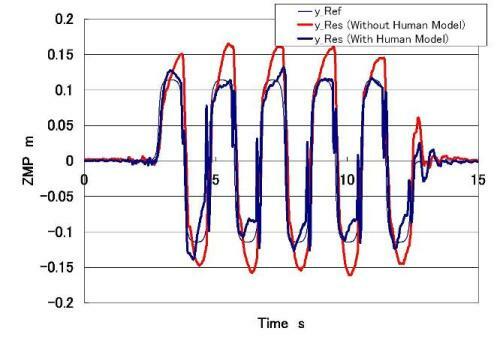 So, we developed a predictive attitude compensation control using 6-axis force torque sensor. 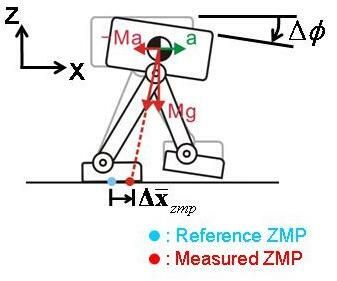 Fig.2 shows a forward walking experimental result by employing only the previous landing pattern modification method.. As shown, there is a relationship between ZMP errors and attitude angles. 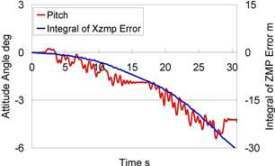 It is possible to decrease the waist orientation errors to some degree by reducing the ZMP errors close to zero. 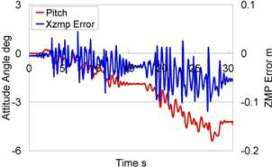 However, if the ZMP errors are reduced close to zero in real-time, a robot becomes unstable. 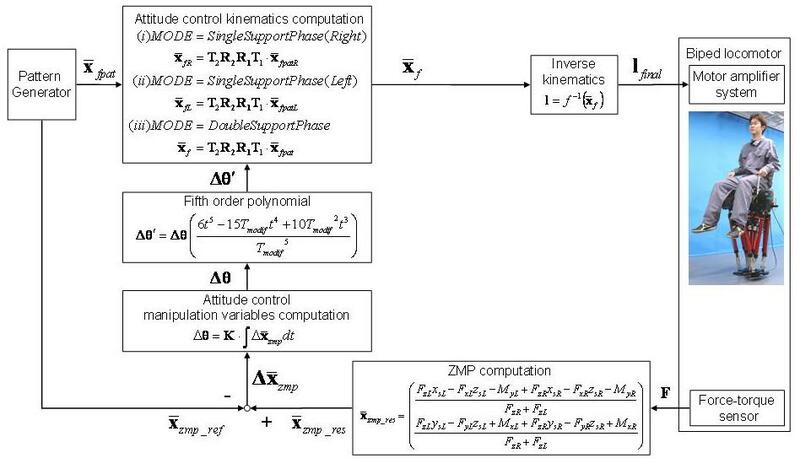 Therefore, the ZMP errors are integrated, and attitude angle is compensated according to that value (see Fig.3). And also, if the ZMP errors are integrated for a long time, the difference between actual and predicted attitude angle becomes large. So, the integrated value is reset after the ZMP errors are integrated during a set time period (see Fig.4). However, there are many small irregularities outdoors,It is difficult for biped robots with rigid, flat soles to maintain a large support polygon on such a surface. 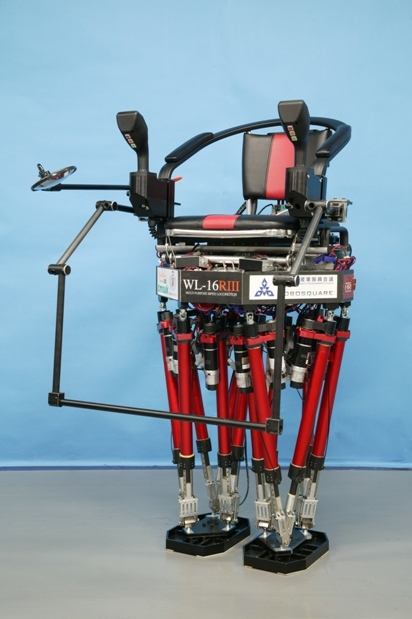 It means that the biped robots can lose their balance even if stability control methods are employed. 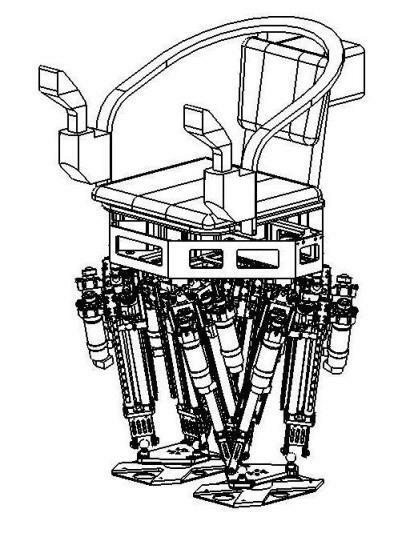 Therefore, we have developed a new foot system, WS-1R which can maintain large support polygon on uneven terrain. 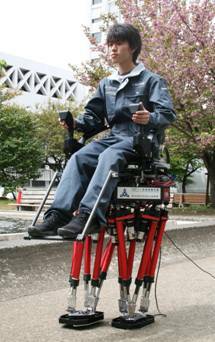 As an evaluation experiment, some walking experiments were conducted in laboratory and on the public road in Fukuoka Special Zones for Robot Development and Test.